Swedish "humanitarian" funding paid for a new Swedish booklet accusing Israel of apartheid and ethnic cleansing in Judea and Samaria. Swedish “humanitarian” funding paid for the publication of an anti-Israel booklet produced in Sweden, for local consumption, that accuses Israel of ethnic cleansing in Judea and Samaria. The 40-page publication, “Colonialism and Apartheid – the Israeli Occupation in Palestine,” accuses Israel of bombing the homes of civilian Palestinian Authority Arabs, among other outright lies. Funded at a cost of NIS 390,000 (approximately $104,600) under the category of “humanitarian aid,” the slick booklet was created by a Swedish pro-Palestinian Authority solidarity group. In its pages the brochure calls for the boycott of the State of Israel, which it accuses of ethnic cleansing of Arabs in Judea and Samaria, racist legislation, racial segregation, and the establishment and maintenance of an apartheid administration in the territories. 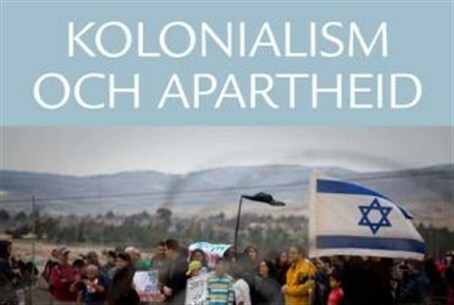 Funded by a Swedish foreign aid society and the BDS (Boycott, Divestment and Sanctions) organization, the brochure was roundly condemned by both the government of the State of Israel, and the Swedish Jewish community. Israel's ambassador to Sweden, Benny Dagan, met with legislative members of the Sweden-Israel Friendship Association, and urged them to pressure the government to cut funding to agencies that promote anti-Israel activities. “The fact that this kind of hate propaganda is being financed by Swedish government foreign aid funds is simply outrageous,” Israel Foreign Ministry spokesman Yigal Palmor told Arutz Sheva in an interview Sunday. The print version of the publication, produced only in Swedish, is offered to the public free of charge. If one orders more than three copies, however, one is charged for the postage, according to the website. Sweden is a member of the European Union, which has been accused of funding numerous anti-Israel and pro-Palestinian Authority efforts in Judea and Samaria over the years.